While the Gateway brand still exists, the number of options available from it has been dramatically reduced since the purchase by Acer. The NE series still exists but the NE56R12u is no longer available for purchase. If you are looking for a new low-cost laptop, be sure to check out the Best Laptops for Under $500. 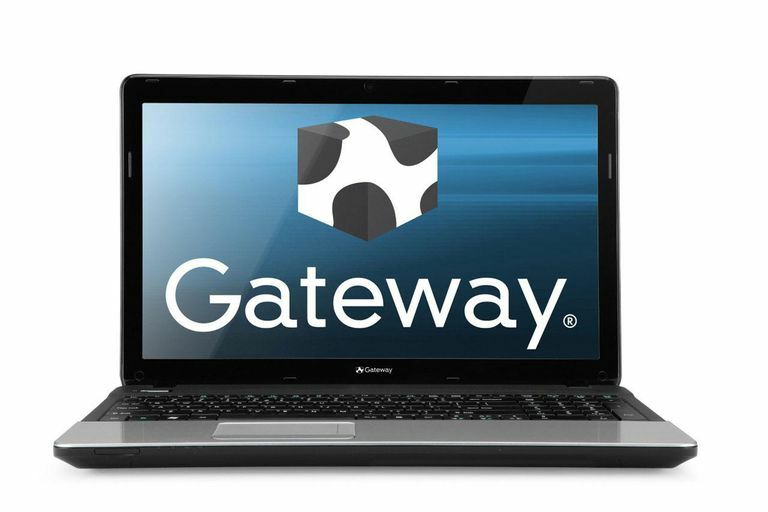 Aug 6, 2012 - Gateway takes their NV series of laptops and gives them an even more affordable makeover with the NE56R12u which can typically be found for under $400. The system is certainly affordable and is sufficient for many that just need basic computer needs. Heck, it has the same memory, hard drive size, and battery life as a system that cost nearly twice as much. It does sacrifice other conveniences such as a comfortable keyboard or USB 3.0 ports and packs in a fair amount of unnecessary software. Still, for those on a tight budget, it is a decent enough value but if you can spend more, there are better options. 15" x 10" x 1.3" @ 5.5 lbs. The new Gateway NE series of laptops is designed to be affordable so it is no surprise that the system essentially reuses a lot of the parts that was found on the previous NV models but with a bit less in terms of parts and features. This is most evident in the use of the Intel Pentium processors rather than the Intel Core I models. The Pentium B950 dual-core processor actually uses the same processor design as the Sandy Bridge or second generation Core I processor but runs at a lower clock speed with less cache. It is matched up with 4GB of DDR3 memory. Now, for the majority of users that primarily use their machine for the web, email and media viewing, this is more than sufficient. Those looking to do a bit more demanding tasks such as desktop video editing would definitely want to step up to a faster processor. Storage features for the Gateway NE56R12u are very similar to most laptops in the under $600 price range. It comes with a fairly sizable 500GB hard drive that gives it plenty of space for applications, data and media files. The drive does spin at the 5400rpm traditional notebook rate which means it can feel sluggish at times compared to more expensive systems with faster 7200rpm drives or solid sate drives. It is possible to add additional storage through external USB port but all of them are of the slower USB 2.0 variety rather than the new SuperSpeed USB 3.0 which is disappointing but expected for a laptop that can be found for under $400. A dual layer DVD burner is included for playback and recording of CD or DVD media. The 15.6-inch display on the Gateway NE56R12u is fairly typical of a budget class laptop which means that there is a lot to be desired about it. The native resolution is 1366x768 which the majority of laptops use. Color, brightness, and contrast are acceptable and the viewing angles are fairly narrow. Of course, these issues plague many low-cost laptops. The graphics are handled by the Intel HD Graphics 3000 which is the same in most Intel laptops. This still lacks the 3D performance for even considering being used for casual PC gaming. On the other hand, the ability to support Quick Sync Video compatible programs makes it pretty decent at video transcoding. While most companies have moved to an isolated or chiclet-style keyboard, Gateway uses an island style. The keys essentially are stacked right next to each other with a small ridge separating them. The keys are fairly flat and have a very soft feel. The result is a keyboard that isn't as accurate or as comfortable to use as many competing systems. It does come with a numeric keypad though which some 15-inch budget systems drop to share parts with smaller laptop designs. The trackpad is of a nice size and centered on the space bar to give it nice positioning. It offers dedicated buttons rather than integrated but it is a rocker bar style that isn't as nice as an individual right and left buttons. As with pretty much every one of Gateway's laptops, it comes with a standard six-cell battery pack with a 4400mAh capacity rating. This is the most common size for pretty much all of the laptops priced under $600. In video playback test, the laptop was able to run for just over three and a half hours before going into standby mode. This puts it pretty much on average with the majority of systems but slower than Dell's Inspiron 15R which uses a more energy efficient Ivy Bridge-based processor. Acer has been one of the companies that have a long and sullied history with preinstalled applications. The Gateway brand isn't immune to this issue and this comes with more than its fair share of trial and ad-based applications. The problem isn't so much with the software but the fact that all of them cause the system to be very slow when it comes to booting the operating system. Some of this can be alleviated by users taking the time to completely remove any unwanted programs to help reduce the load at startup.